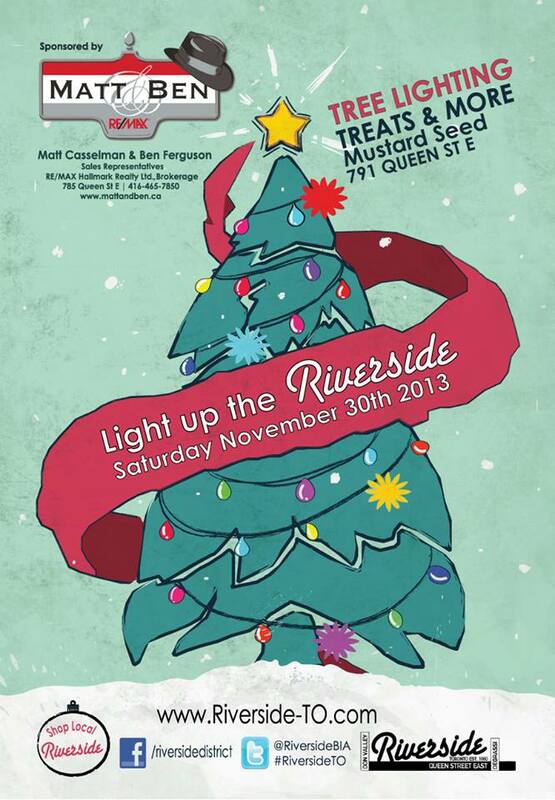 We are happy to be once again the title sponsor for this years LIGHT UP THE RIVERSIDE! Saturday November 30th,2013. Join us for a Tree Lighting, hot chocolate, Treats, Pictures with Santa and more! The Best Sandwiches in Leslieville!